Fundraising is primarily the responsibility of the Support Group. 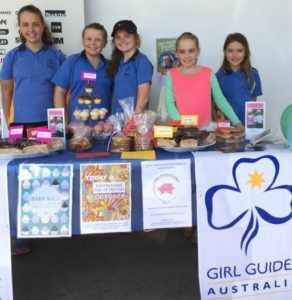 However occasionally one of your Unit Leaders may wish to raise funds for a community service project, a major Guiding event or travelling to a national or international event. The Unit Leader should inform you of any plans and in turn your role is to ensure there is no conflict with Support Group activities. The Fundraising Directory, www.fundraisingdirectory.com.au provides comprehensive information on fundraising ideas and suppliers. Ideally avoid using chocolate packs for fund raising as these are often used by schools and do not fit well with the goal of promoting a healthy lifestyle amongst members. Experience suggests a Bunnings sausage sizzle is the most profitable fundraising event; recently Districts have made more than a $1000 in a single day. The date may need to be booked up to two years in advance and so should be part of your annual planning cycle. Some Districts have had particular success with Trivia Nights. The key to their success is getting lots of donations from local businesses and making sure many people attend. Other ideas include: delivery of telephone books, food stalls at the Agricultural Show, catering to Rotary meetings or selling Entertainment Books. All fundraising activities need to comply with Council regulations and by-laws. Specific by-laws cover the preparation and selling of food, e.g. sausage sizzles and cake stalls. 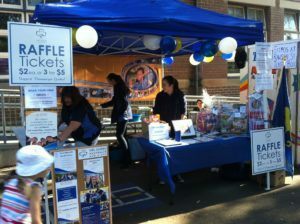 Support Groups may decide to use a raffle as a way of raising funds; the organising committee personally cover the raffle both financially and legally. If high value prizes are involved, check what law applies. Youth members must not take part in organising or conducting a raffle. 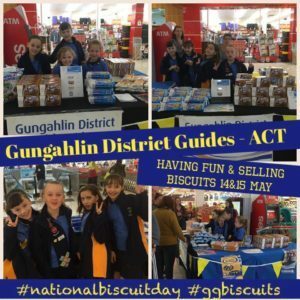 Girl Guide Biscuits are available once a year between May and June and should be a highlight of your marketing plan. The biscuit campaign is organised at state level and cascaded to Units. To get the most out of the campaign plan in advance and don’t just concentrate on selling to friends and families. You can sell at shopping centres, on high streets as well as door to door. (Girl Guide biscuit sales are the only form of Guide fundraising allowing street collections and door knocks.) Use the biscuit campaign as an opportunity to promote Guiding in your local community and recruit new members. 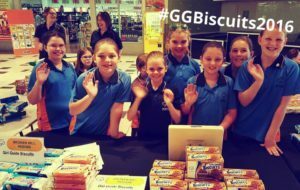 Selling biscuits also enables Guides to grow in confidence.